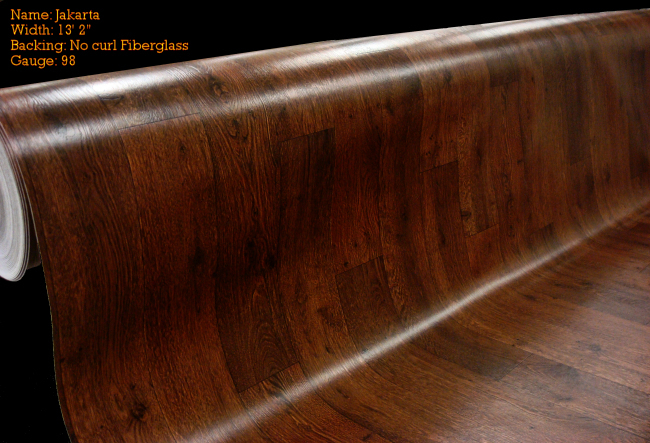 A Hardwood look sheet Vinyl Roll 13" 2" wide strong flexible fiberglass backing. Fiberglass backed vinyl won't shrink, warp, curl, crack or change. 98 Gage thickness (just under 1/8 inch thick) Very comfortable under foot. Can be lose laid or with perimeter adhesive. Nice and thick - no glue needed. These are limited first quality inventory specials once its gone its gone.